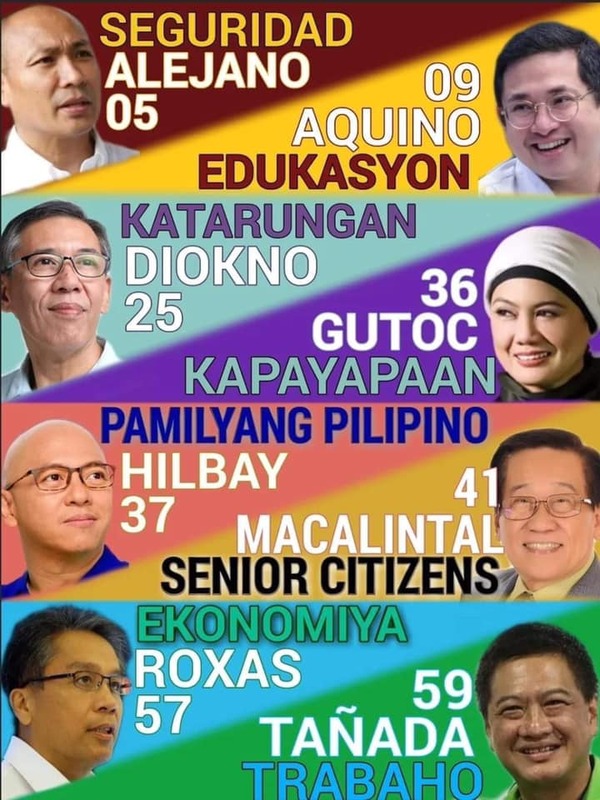 As the BER months step in, we find ourselves preparing for what the holiday season is about to bring. And with so many holiday tradition and festivities, here is absolutely something you would not want to miss. 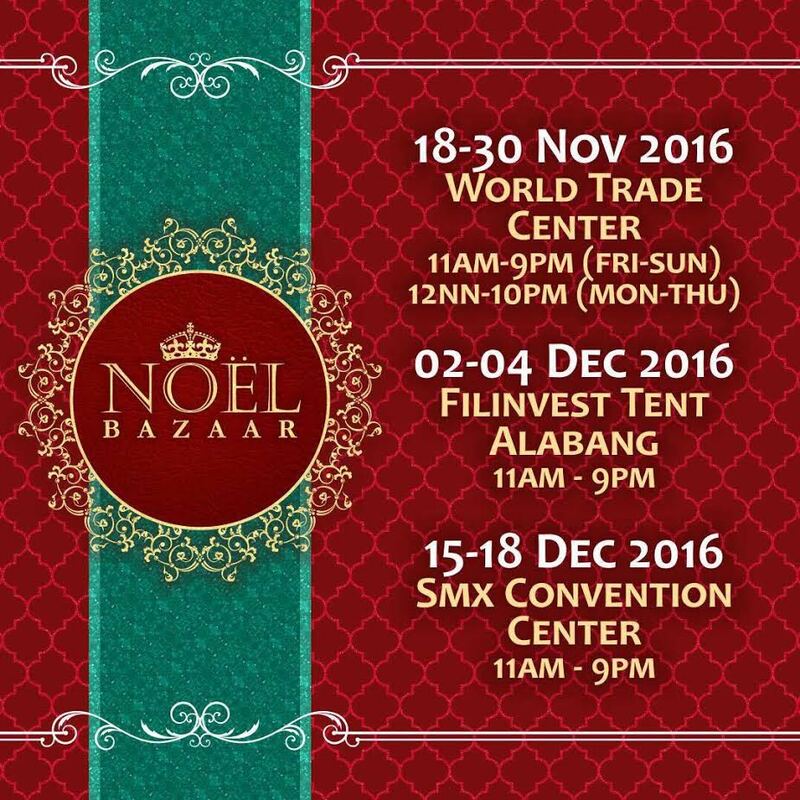 Noel Bazaar, the country’s leading holiday shopping event will be having another series this November 18 to 30 at the World Trade Center, December 2 to 4 at the Filinvest Tent Alabang and December 15 to 18 at the SMX Convention Center. If ever you take a quick break from all your shopping, make sure to catch the exciting line-up of activities they prepared for you. From workshops, demos, fashion shows to games, raffles and variety shows and more. 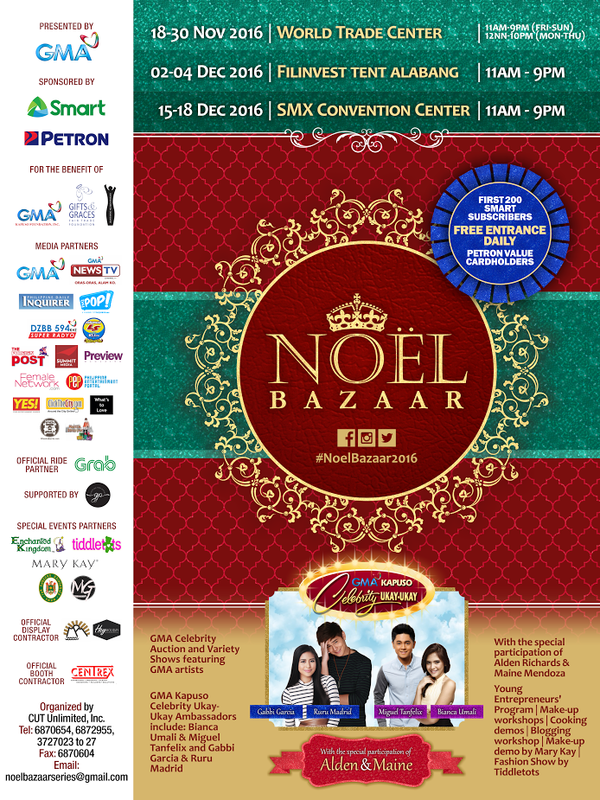 Event highlights include the GMA Celebrity Ukay-Ukay and Auction featuring GMA Kapuso artists – Ruru Madrid and Gabbi Garcia, Miguel Tan Felix and Bianca Umali, and with special participation of Alden Richards and Maine Mendoza. 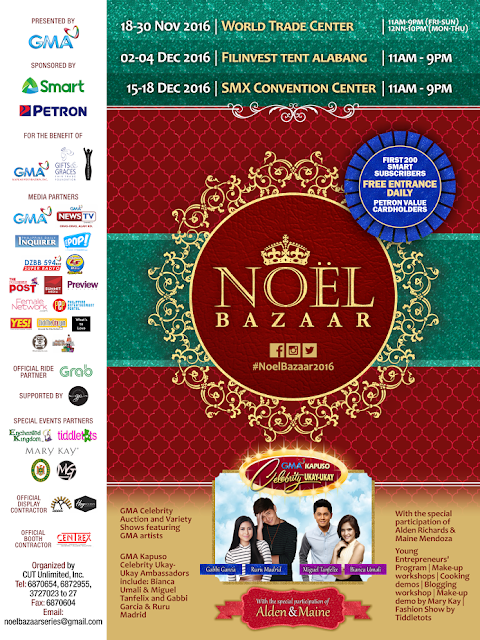 The Noel Bazaar Series 2016 is organized in partnership with Smart and Petron and in cooperation with the GMA Network and the Philippine Daily Inquirer. 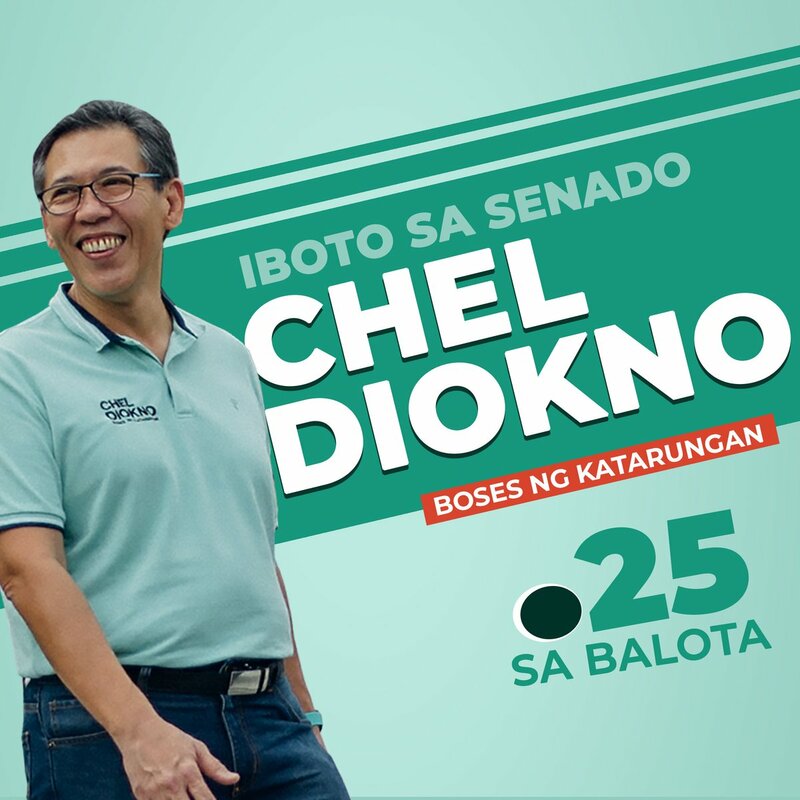 This event is supported by their Official Ride Partner– Grab, Media Partners–GMA Network, GMA News TV, Philippine Daily Inquirer, Inquirer.net, DZBB 595 Super Radyo, Barangay LS 97.1 FM, The Foreign Post, Summit Media, Preview, Yes! Magazine, FemaleNetwork.com, Pep.ph, WhenInManila.com, ClickTheCity.com, Manila Shopper and What’s To Love PH, and Special Events Partners – Enchanted Kingdom, Tiddletots, Mary Kay, Far Eastern University and Mikki Galang. 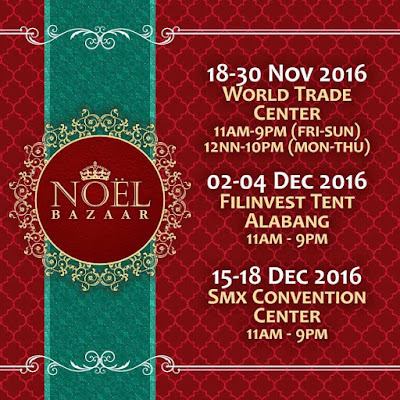 For more information, email at noelbazaarseries@gmail.com or call 687-0654 / 372-7023.